Yesterday, Google began rolling out the first OTA (over the air) update for the Glass Explorer Edition, dubbed XE5. (Glass shipped running XE4.) This shouldn’t be surprising at all. Google has said from the beginning that Glass would receive monthly updates, during the Explorer program while they continually improve the Glass experience. Seeing as Glass is pretty battery conscious, to get started, you’ll have to plug your Glass into your computer or your charger to begin the update process. Note: If you’re using Head-On detection or Winky, the application that lets you wink to take a photo, you’ll need to re-calibrate each of these after you apply the update. 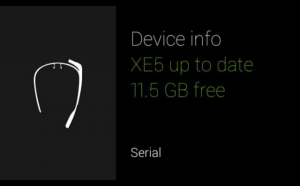 What’s new in the Glass XE5 OTA Update? If you’re big into Google+ (why aren’t you? 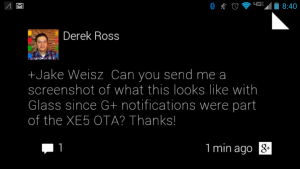 ), you’ll love this update as it adds much needed Google+ integration for notifications and Hangouts. As you can see below, the page corner is turned up because Jake replied, making this a conversation which can be viewed on Glass. 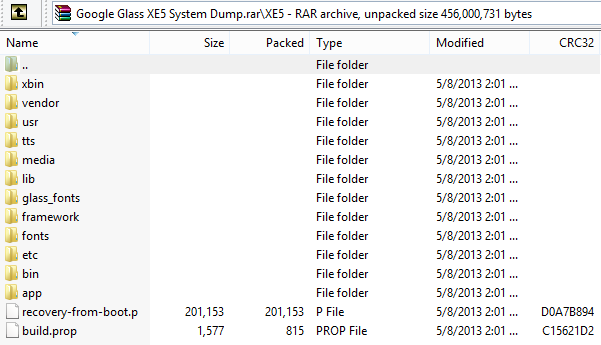 If you aren’t lucky enough to have received Glass yet, there’s still a way to tinker and look under the hood thanks to system dumps. We’ve been lucky enough to have a private system dump of the XE4 edition of Glass for a while now and it’s proved to be a lot of fun. The guys over at Android Police have posted the updated XE5 version for your downloading pleasure. If you like to tinker with Android, we suggest you take a look. Have you noticed any other changes with Glass XE5? Let us know.